Subscribe to our weekly newsletter for exclusive content and receive your FREE EBOOK! She apparently followed his directions and proceeded without offending anyone, and eventually won over the heart of not only her boyfriend, but also of his family, because within a few years they were married and remain happily so ever since. That story has resonated with me after all these years. And this was pretty much all I knew about Cognac for at least the next ten years. That it is a “proper drink”, a digestif (consumed after a meal), one not meant for shooting. Sure, this was (and still is) sound advice for anyone unfamiliar to the world of fine alcoholic beverages, but I always knew there had to be so much more to this drink. A drink so many seemingly classy people sip after their meals in these large, round, powerful looking glasses. What makes it so special? That it is a brandy (a spirit produced by distilling wine) produced in the delimited region of Cognac in western France just north of Bordeaux. 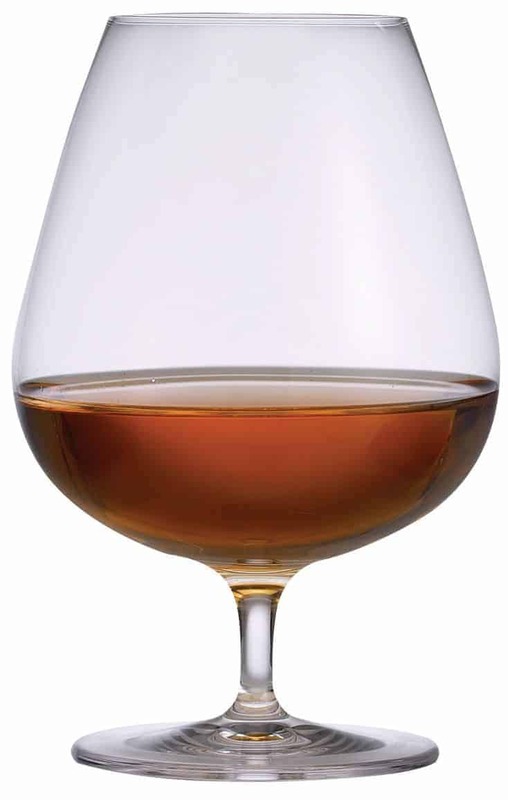 Much like many wine regions in France (with wines named after the region they are made in), to be called Cognac this specific style of brandy must follow a very strict and regulated production process; including grapes permitted (primarily Ugni Blanc, Folle Blanche, and Colombard), alcohol levels, distillation process, and aging, among others. I could go on and on about the process, the soils necessary to produce Cognacs of quality, the terminology on the labels to understand how long it has been aged, but you can look all of that information up on wikipedia or any other spirits book for that matter. I memorized all of this information for my exams. This was, however, all book knowledge. I was never tested on tasting any actual Cognac. So while I took the time to understand the difference between a VSOP and an XO Cognac I never spend much time getting to know the many faces and flavors of Cognac. To this day, the nuances of this beverage remain a slight mystery to me. Since passing my exams I hadn’t given much thought to Cognac until very recently. After one of the greatest meals on my recent trip to Italy, at the Aquapetra resort in the region of Campania, my colleagues and I ended the evening with a nightcap. While many reached for the Oban 1995 Distillers Edition Single Malt Scotch, I politely declined. To be honest I can’t stand Scotch. In my family we have a love-hate relationship with the beverage. My husband loves it, and I hate it. The powerful scent alone conjures up frightening images of hair growing on my chest. Not a pretty image for a woman to have. The smoky and peaty flavors of Scotch are just too much for me. It is not my drink and never will be. Instead, that evening I opted for a well regarded XO Cognac at the recommendation of an expert. A beverage I am long overdue to become acquainted with and one that is much more soft on the palate than scotch. Though admittedly, I have not consumed much Cognac in my life, I have had my share of cheap brandy, and I can tell you this bears no resemblance to the many underwhelming versions I have consumed. You know what I’m talking about – the kind that are harsh and only palatable when mixed with soda. Instead, this was very smooth and rich, with inviting aromas of hazelnut and vanilla. I still remember how nutty it was. And it was warm and soothing. The perfect end to a great meal. Tasting it slow (no I did not shoot it – I knew better than that), I was able to appreciate it the way I appreciate a great wine. Slowly. Thoughtfully. Methodically. And though it is a spirit I would never allow anybody to tamper with this Cognac by making a cocktail out of it. This Cognac doesn’t need to be mixed with anything in order to be enjoyed. All it needs is a nice brandy snifter and your undivided attention. That is exactly what I imagine good Cognac should be like. 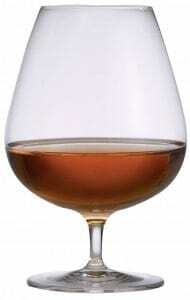 I finally had my Cognac epiphany. It gave me the itch to want to learn more. Finally. The article was written for submission to the 2012 Cognac Writing Contest, sponsored by The Cognac Board, with the support of the European Union and France. Great article, Mary! I love the story at the beginning! 😉 Actually, I have not had much cognac since that experience many years ago, but after reading your article, I want to give it another try. Perhaps gift it to said husband for us to enjoy after a nice meal. Thanks for inspiring me to broaden my spirits horizons. Or perhaps if we ever head out your way to visit you we can bring a bottle and share it together? It wasn’t until I first flew Luftansa airlines, from Portland to Germany, and had access to FREE cognac, that I really learned to love it. Funny, but true. I wish more people would share a nice cognac with me!! Thanks for the article. Nice work! Thanks Timothy! I’ve heard nothing but great things about flying Luftansa, and this is just one more. I think I know what airline I’m using next time I go to Europe! Love it. I have not had too much Cognac, but recall my first experience. I was in college, didn’t know what I was offered when a friends father offered this French stuff called Louis XIII! When I drank it I was then told how much the bottle cost, and couldn’t figure out whether it was the Cognac or the realization of what each sip probably cost. I love cognac! This post totally captures my experience of drinking it for the first time and makes me want more. It’s been a awhile. Hmmm. Which bottle, if I could only have one, should I have on my bar? Best of luck with the competition! I know I’ve had brandy, but I am wondering if I’ve ever had Cognac? Now I must find some to try! Great post! I'm Mary, a wine/food/travel writer, wine educator, Certified Sommelier, mom of twins, former vegetarian turned BBQ fanatic, runner, and founder of Vindulge and co-founder of Ember and Vine. Thanks for stopping by!